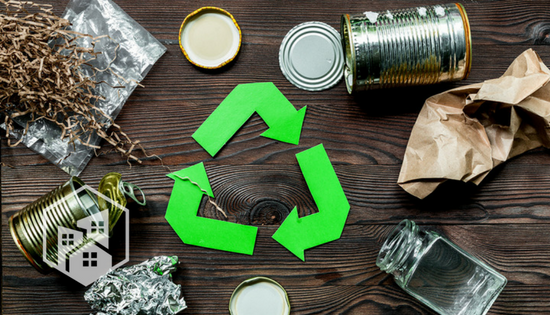 With more than 56,000 recycling programs nationwide and a global emphasis on innovative waste reduction methods, our planet is taking positive steps toward a greener future. 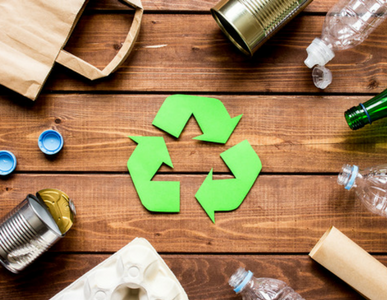 In the U.S., approximately 94 percent of Americans have access to local recycling facilities, and even big-name companies from Apple to Patagonia and are doing their part to reduce, reuse and, of course, recycle. 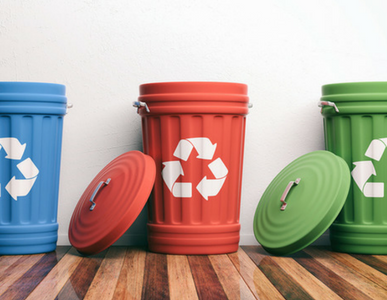 There are a lot of new and popular energy saving strategies out there, but recycling is a classic for a reason. Simply put, recycling saves energy because it requires less power to give a material a new purpose than to create a new product. 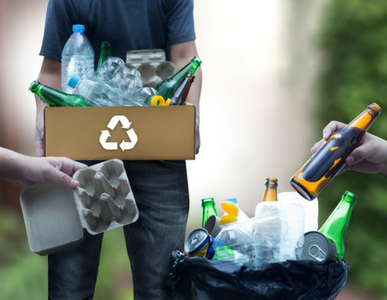 The amount of energy saved through recycling varies by material, but even a 10% savings is better than nothing! 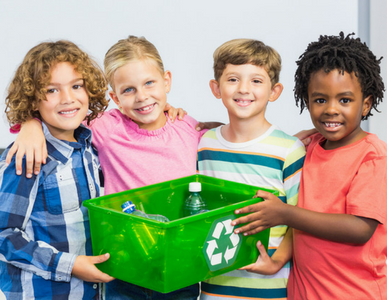 Recycling also is a big help to the environment and its limited natural resources, such as water and trees. For example, recycling paper lets us minimize the number of trees we chop down – and remember, those trees help purify our air and decrease atmospheric CO2 levels. We know it’s hard to grasp the magnitude of our global waste problem, so let’s break it down by the four primary recyclable materials. How much energy does recycling actually save? Good news: ALL things made from metal can be recycled! Aluminum, especially, is one of the most energy-efficient recyclable materials, requiring 95% less energy than would be put into producing it from ore. So, next time you’re holding an empty can of soda, take the extra step to dispose of it in a nearby recycling bin instead of the trash. 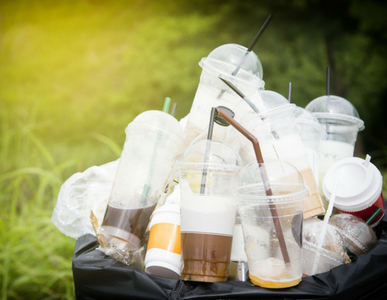 Our society’s throw-away mindset is built around the countless uses for plastic, but regrettably, these plastics don’t always make their way to a recycling bin. This is especially unfortunate because all plastics are recyclable. 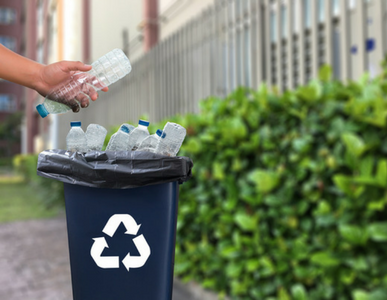 In fact, one ton of recycled plastic saves over 16 barrels of oil and nearly 6,000 kWh of energy – that’s enough energy to power your home for six months. All types of paper, from phone book paper to newspaper, can and should be recycled. Not only does recycling paper preserve trees, it also saves 7,000 gallons of water and 60 pounds of air pollutants per recycled ton. 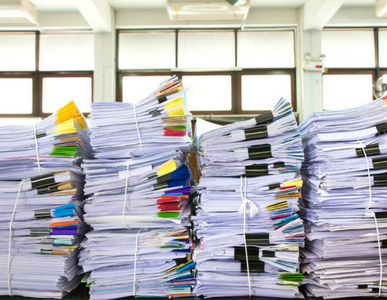 One huge benefit of modern technology is the decrease in paper usage (think tablets and smartphones); but, there’s still plenty of paper being used in offices and schools every day, so make sure to recycle it! Glass is on the lower end of energy efficiency for recyclables, saving only 30% of energy through remelting and remodeling. However, its wide array of uses and endless life cycle make it a valuable contributor to global recycling efforts. Glass also is a major player in the “reuse” trend (Mason jars are still cool, right?) so keep the common mantra in mind when your jar of marinara or bottle of wine is empty. What does recycling mean for my monthly energy bill? Not much, at least directly. But in the long term, reducing energy consumption reduces the drain on the world’s energy supplies. Simple economics tells us that when demand goes down and supply remains the same (or grows), prices can come down. We are a society that loves to consume; from takeout meals to fast fashion, we will continue to leave a trail of waste in our wake if we don’t make the decision to change. America Recycles Day is the perfect time to take responsibility for the environment and minimize our collective carbon footprint. Remember: reduce, reuse, recycle!